Quiz Quest | Satisfies all your quizzing desires…. Automobile industry started long back, probably 150 years or even more. Largest seller of electic cars through nissan leaf. The group was formed through the purchase of 51% of South Korea’s second-largest car company, Kia Motors, by Hyundai Motor Company in 1998. Spencer’s Retail has been part of the Indian retail landscape since 1863 and was originally set up by Mr John William Spencer. It acquired Indian ownership in the 1960s, and became part of the RPG Group in 1989. Fabindia is India’s largest private platform for products that are made from traditional techniques, skills and hand-based processes. It started as a wholesale export company and has since successfully established itself as a major retail player in the Indian market. Fabindia’s first retail store opened in New Delhi in 1976. It was started in 1991 with its first store in Andheri, Mumbai. It ranks among the top retail stores in the country and is well known for its best services. It has been awarded the Hall of Fame and won has the Emerging Market Retailer of the Year Award. It has 74 stores across 35 cities in India. It is managed by K Raheja Corp Group. Pantaloons is headquartered at Mumbai, Maharashtra and was established in the year –1997. The first Pantaloons store was launched in Gariahat, Kolkata. It is a subsidiary of the Future group. It has more than 1000 outlets across the country and supports 35000 employees. Company’s brands include Big Bazaar, food Bazaar Brand factory, Top 10 and Sitara. So today we are going to cover mindmap of Americal retail stores..
Macy’s has conducted the annual Macys thanksgiving day parade in New York City since 1924 and has sponsored the city’s annual 4th July fireworks display since 1976. Macy’s Herald square is one of the largest department stores in the world. Target Corporation is the second-largest retailer in the United States. Founded by George Dayton and headquartered in Minneapolis, the company was originally named Goodfellow Dry Goods in June 1902 before being renamed the Dayton’s Dry Goods. Founder Dave Gold first came up with the idea as a means to liquidate slow selling wines at his liquid store. Costco was the second largest retailer. 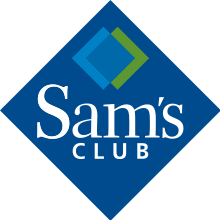 American chain of membership-only retail warehouse clubs owned and operated by Walmart. It is second behind Costco. There are times in our lives when we are just thoroughly bored. We are at our wits end and even in things which we are supposedly good, we start failing. These are the times when we need someone to hold our hands, look in our eyes and tell us that all is well. It is from these moments that we derive strength to pursue our ambitions further. One such thing had happened when I had started working in my previous company and had moved to a new city. First few months were really good and fun as we had company accommodation, however once I moved in a PG, life started becoming difficult. Me and my friends obviously were having lot of problems in finding a place. Obviously we didn’t have innovative websites like https://housing.com/ back then which could have eased up our process of finding a suitable place. Even the job had started becoming hectic for us and we were being left with no time whatsoever. I remember there were times when I was totally in despair. One such day when I was leaving fro office, with an obvious grumpy mood, one of my colleague asked me if I wanted a lift. He was a middle aged man whom I had hardly ever conversed in office. I just knew him by face value. However his calm demeanor had some sort of magnetism. I accepted his offer. Once in his car, we started speaking ab out work and life in general. I told him my predicament both at office and in finding a house.I told him that I feel like quitting and going back. On hearing this, he understood that I was really disturbed. He then took me to his house for having dinner. We had a long chat about work and handling different situations. He not only guided me, but also connected me with house brokers. Gluttoned with the delicious dinner and with a new found enthusiasm, I bid him adieu and went back to my place. As luck would have it I found a place in the very next week and soon acclimatised to my office as well. From thoughts of leaving the office and going back to Nagpur to winning the best employee award, I think that one conversation was the turning point! This one line inspired him to leave his previous line and take up a job in the new company. Tell me who said this to whom?